Uganda sued over maternal deathsCopyright law and education materials: can the two get along? The magnitude and severity of preventable and treatable NCDs – diabetes, stroke, cancer and heart disease – has brought the affordability of medicines to the forefront of global public health. For more than a decade, a worldwide campaign has been agitating for more timely and affordable access to medicines for the world’s poor. This is because hundreds of millions of people around the world don’t have access to the medicines they require to combat and alleviate suffering from a plethora of NCDs. One of the direct causes of the lack of affordability of pharmaceuticals is the patents system. Patents are a monopoly granted by the government ostensibly to promote greater levels of research and development (R&D) than would exist without some form of intervention. But the problem is that monopolistic pricing makes medicines less affordable to individuals. While traditional forms of protectionism such as tariffs result in markups of 20% to 30%, patents can increase medicine prices by a thousand or even ten thousand percent above market competitive prices. And monopolistic pricing is not the only hurdle to making medicines more affordable and accessible. It is compounded by perverse incentives for pharmaceutical companies to spend R&D on creating largely non-innovative medicines for high-income markets. Add to this, the temptation for pharmaceutical companies to withhold clinical research that indicates negative side-effects of some drugs. Merck knew before Vioxx was released on the market, for instance, that it substantially increased the incidence of heart attack and stroke, resulting in tens of thousands of preventable deaths in the United States. It’s pointless to advocate policies that result in cheaper medicines if they are defective so consumers are harmed rather than treated. But under the patent system, firms are faced with such perverse incentives that are clearly not aligned with the common good. It’s wrong to assume that patents are the sole cause for lack of medicines’ affordability. The lack of a well-functioning public health-care systems and medicine subsidy schemes; sales taxes; poverty; government corruption; and the high cost of on-going medical treatment are also reasons why many individuals and entire populations lack timely and affordable access to pharmaceuticals. One of the oddities of the access to medicines campaign is that many assume only developing nations are in need of help. In fact, the affordability crisis also strikes closer to home in many of the wealthier Western nations. The United States, for instance, lacks a comprehensive national subsidy scheme and there’s an expectation that private insurers provide coverage alongside Medicare and Medicaid. Despite this, many millions of Americans can’t afford to purchase medicines, which are often sold at grossly inflated prices. Australia has one of the best medicine subsidy schemes in the world: the Pharmaceutical Benefits Scheme (PBS). But the PBS cannot subsidize every medicine on the market for the simple reason of containing costs. The PBS will soon cost $10 billion and is expected to continue to grow. And even now there are instances of Australians who cannot afford unsubsidised medicines and are placed at an economic (and health) disadvantage. 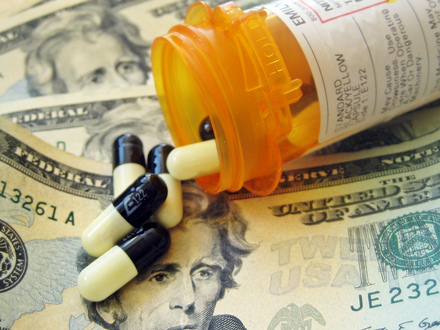 The US pharmaceutical market recently reached US$300 billion in size. It would actually only be worth approximately US$30 billion at competitive market prices. If medicines were priced at the cost of production under an alternative R&D system, not only would they become more afford but the budgets of government subsidy programs and charities would be able to provide greater coverage and treatment to those who need it. It’s critical for activists driving the access to medicines campaign to examine the assumptions and justifications that uphold the pharmaceutical patents system. They shouldn’t accept what the industry and the economics profession say in support of an R&D system that’s grossly inefficient in both economic and social terms. There are much better systems to promote research and development. And there’s no plausible rationale for relying on 15th century government monopolies to finance R&D – a creation from the time of the feudal guild system. Overturning pharmaceutical patents, rather than fiddling around the margins, should comprise a core focus of the access to medicines campaign. This will help bring our scientific and innovation research structures into the 21st century, and most importantly, improve the affordability of medicines at a time when the world is facing an epidemic of non-communicable diseases.